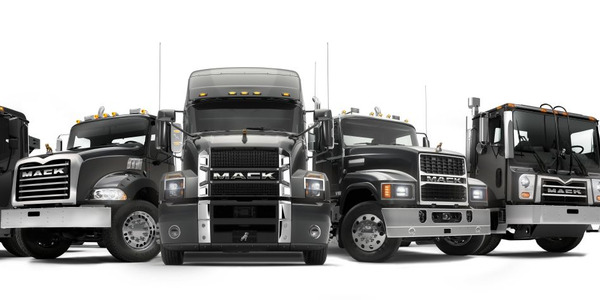 The most significant fleet trend in the Class 3-4 truck market has been the increase in order volumes after fleets scaled back vehicle replacement schedules during the economic downturn of 2008-2010 and the years immediately following. “A large number of fleets are increasing orders after the slow pace of replacements during the recession,” said Mark Stumne, truck engineer at GE Capital Fleet Services. One reason for the uptick in orders is pent-up demand due to the recession’s impact on the replacement of existing truck assets, resulting in an increased number of units to age well beyond their normal service life. One consequence to fleets keeping trucks in service longer is an increase in unscheduled maintenance costs. “Fleets extending the lifecycle of vehicles (all classes), correlates to an increase in lifetime maintenance costs for vehicles and an increased total cost of ownership (TCO) for fleets,” said Chris Foster, manager, truck account administration at ARI. In addition, rightsizing initiatives to eliminate underutilized units are also impacting new-model ordering. “We are witnessing a trend of replacements of older trucks that were kept in fleets beyond their replacement cycles. Fleet managers are increasingly focusing on rightsizing their fleet to make sure they do not manage any underutilized assets,” said Marcin Michno, project manager, strategic consulting at Element Fleet Management. The forecast for new Class 3-6 truck sales beyond 2015 into 2016 is to continue on an upward trajectory. 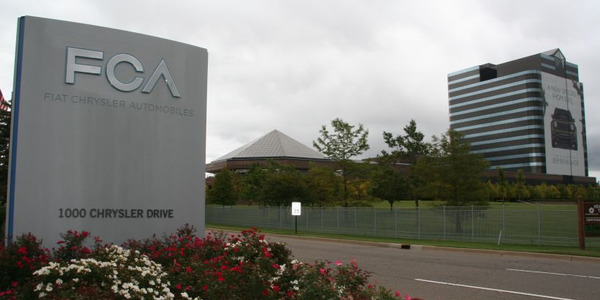 “Despite many projections by the ‘experts’ that 2016 will be a down year, we do not see any indication that the economy will slow or that truck sales will decline,” said Todd Bloom, president and CEO at Mitsubishi Fuso Truck of America. 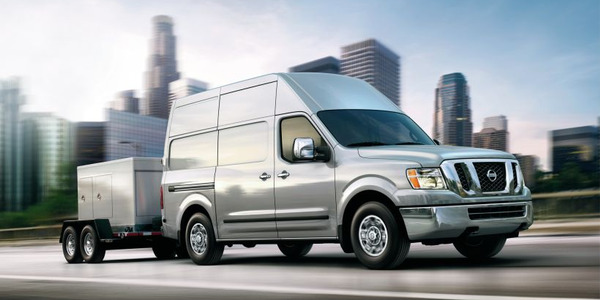 A number of all-new van models have entered or will soon be entering the U.S. market, replacing predecessor models that have been mainstays in the vocational van markets for many years. This product transition is causing some fleet managers to take a “clean sheet” approach to different fleet application possibilities. “We are already seeing the move toward Euro-style vans, where some customers may find opportunities to move from a truck to a van for the same application; however, fleets have to be cognizant that it is not always an easy swap. Some applications require a truck and always will. Certain van specs allow a customer to stay under the weight limit for DOT regulations, but the van may not be appropriate for the application,” said Partha Ghosh, director, supply chain management at ARI. Others, likewise, see the new Euro-style vans as an opportunity to meet the needs of fleet applications previously performed by pickup trucks. “These new vans have brought opportunities by replacing some pickup trucks. For example, some box trucks are being replaced with vans. 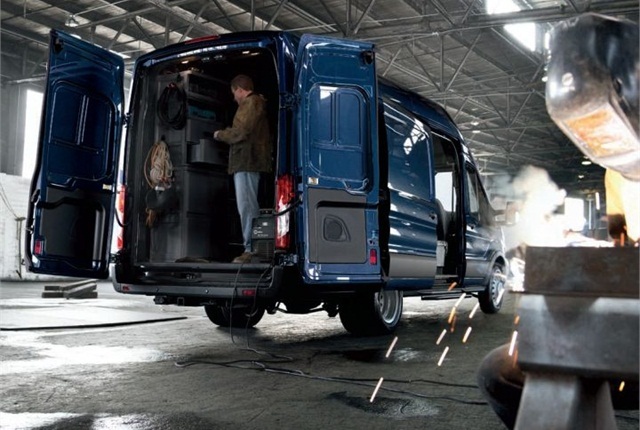 Bigger vans offer more choices in upfits, with better ergonomics. Also, bigger vans relieve complexities in cutaway builds,” said Joe Brightwell, truck operations manager at Wheels Inc. The all-new, Euro-style vans are larger with varying roof height configurations and wheelbases requiring new upfit packages that is prompting many fleets to analyze how these new models will perform existing fleet applications. “As newer, Euro-style vans continue to be reviewed and evaluated, we see adoption of those vehicles increasing,” said Stumne of GE Capital Fleet Services. A number of new upfit packages are being developed for the new vans entering the market, although not at the speed many fleet managers would like. 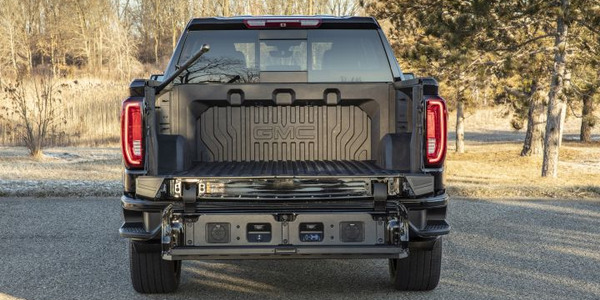 In addition, a growing number of fleets are reevaluating the life of their existing upfit products and whether to transfer them to a new chassis. “We are seeing more fleets ask about the lifecycle of their upfit and determining when to put an old upfit, such as a crane, bobtail, or service body on a new truck as a way to reduce costs,” said Megan McMillan, client consultant at Donlen. As order volumes have increased, upfitters are working at capacity to fulfill orders, but the higher order volume is at a level that it is resulting in order-to-delivery delays. “Upfit lead times are increasing because volume is up across the vendor base over the past year to year-and-a-half. We’ve also seen longer turnaround and production lead times as a result of a strong uptick continuing in industry demand,” said Brightwell of Wheels Inc.
As a consequence, some fleets are factory ordering items they previously had upfitted. “We are seeing many customers choose bedliners and Bluetooth as factory-installed options rather than having upfitters install them. We are also seeing a move toward more driver convenience features, such as power group and Bluetooth,” said Ghosh of ARI. Driven in large part by falling crude oil prices, regular gasoline and diesel retail prices are anticipated to continue to decline in calendar-year 2015. “The U.S. Energy Information Administration (EIA) expects U.S. regular gasoline retail prices, which averaged $3.51 per gallon in 2013, to average $3.46 per gallon in 2014 and $3.41 per gallon in 2015,” said Natasha Gonsky, manager, fuel at Wheels Inc. Nonetheless, managing the fleet’s overall fuel spend continues to be the No. 1 challenge facing truck fleet managers. “We are receiving more requests from clients to help them proactively manage fuel costs at the vehicle level and develop overall fuel-saving strategies for the fleet,” said Foster of ARI. Fleets are also adopting a multi-pronged approach to decreasing fuel expenditures. “A new technology that we see growing in popularity is the use of idle time limiter systems on diesel-equipped trucks,” added Foster. The process to manage fuel expenditures starts at the time of vehicle specifications. “Fuel economy is a key factor in all vehicle class segments. 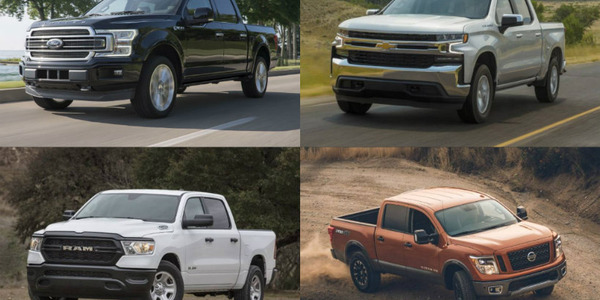 Customers are asking how to best spec a truck for peak efficiency, while OEMs are working to meet new government standards for fuel economy improvement,” said McMillan at Donlen. There are a number of options available to fleet managers to increase fuel efficiency during the spec’ing process, such as specifying low-rolling resistance tires to increase fuel efficiency, said Mark Lowrey, fleet trucks marketing manager at Ford Motor Co. There are a variety of other ways to maximize fuel efficiency during the spec’ing process, such as gear ratio offerings. “Gear ratio offerings that match engine and transmission performance will optimize fuel effectiveness within rpm range,” added Lowrey. The lightweighting of trucks and upfits is another widespread approach adopted by OEMs and upfitters. “We have seen increased efforts to reduce collateral weight to increase efficiency and to also increase payload across the truck industry. 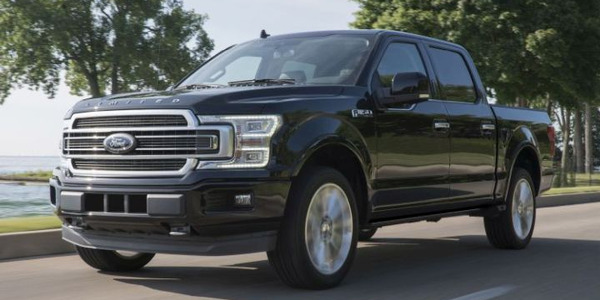 Most apparent is the use of aluminum by Ford in the F-150, as well as increased aluminum offerings by body manufacturers,” said Brightwell of Wheels Inc.
One question being asked by many fleets is whether they should specify a gasoline engine, when such an engine option is available, in lieu of a diesel. Currently, only 3 percent of medium- and heavy-duty truck drivetrain sales use alternative fuels, but the fleet demand for those vehicles is growing. Other interviewed truck subject-matter experts likewise report similar deliberations by fleet managers as to whether to spec a gasoline vs. diesel engine. Gasoline engines are also attractive to fleets that do not drive excessive annual miles. “Businesses are trending to gasoline in applications that are putting 25,000 or fewer miles per year, due to the initial cost difference of approximately $7,500,” said Tony Blezien, vice president, operations at LeasePlan USA. 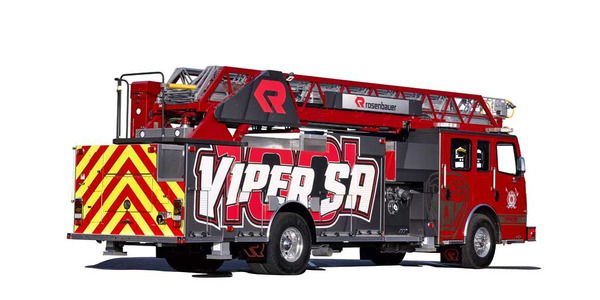 This factor was also cited by other industry truck experts. “Across the Class 3-6 truck market, many operators with low-annual mileage profiles have a continued interest in gasoline-powered trucks as an alternative to diesel,” said Bloom of Mitsubishi Fuso. Another consideration in the gasoline vs. diesel decision process is the increasing labor rate for diesel mechanics and there is a diminishing number of diesel mechanics. “Fleets are very concerned that diesel mechanics are becoming more costly and their maintenance choices are limited,” said Stumne of GE Capital Fleet Services. However, the key reason for considering gasoline engines has been the cost differential between gasoline prices and diesel prices, along with the higher preventive maintenance costs to service a diesel. A corollary factor has been issues with diesel particulate filters (DPF), along with the growing need to educate drivers about the regeneration process, which has become an issue at some fleets. “Increasing driver knowledge of the DPF regeneration process will ensure vehicles are allowed to properly regenerate. This will decrease vehicle downtime and operating cost due to dealership-needed repairs,” said David Jankiewicz, director, maintenance and repair management at LeasePlan USA. The need to educate drivers about SCR-emission technology was seconded by Bloom of Mitsubishi Fuso. “As emissions compliance technology on commercial work trucks requires a certain level of sophistication, more operator training will be needed and overall driver skill level will have to increase,” said Bloom. The industry-wide trend to downsize to lower GVW trucks to reduce fuel expenditures, when the fleet application is not impacted, is also prompting OEMs to design their vehicles accordingly. However, some fleets are looking to migrate to larger GVWR trucks. “Customers that have historically utilized vehicles too small for the intended job application are moving to larger trucks to avoid increases in maintenance costs, excess wear-and-tear and lost productivity,” said Michno of Element Fleet Management. Another ongoing issue has been the driver shortage. Since many younger drivers are unable to operate a manual transmission, there has been a trend for the past decade to shift to automatic and automated manual transmissions. “This opens opportunity for more diverse driver employment,” said Lowrey of Ford. After fuel, safety is at the head of the list of factors that capture the focus of truck fleet managers. “Safety is becoming more important and this is being manifested by increased spec’ing of Bluetooth, back-up cameras, sensors, and alarms,” said Brightwell of Wheels Inc. This was reinforced by feedback provided by other fleet management companies. This is demonstrated by the increase in the types of safety equipment that fleet managers are specifying in Class 3-4 trucks. Interest in alternative fuels in the medium-duty truck market has ebbed and flowed over the years; however, there is currently a renewed interest in alternative fuels. “We’re seeing companies increasingly interested in exploring and piloting vehicles capable of running on an alternative fuel. This is happening primarily in regions where infrastructure allows it. An organization’s sustainability programs and cost-reduction efforts are the driving forces behind this trend,” said Michno of Element Fleet Management. OEMs, likewise, report growing fleet interest in alternative fuels. “We expect continued growth in alternative fuels, such as compressed natural gas (CNG) and liquefied natural gas (LNG), if government subsidies and/or concessions offered to fleet buyers continue and these fuels are supported by an increased growth in infrastructure,” said Bloom of Mitsubishi Fuso. This observation was echoed by other OEMs. 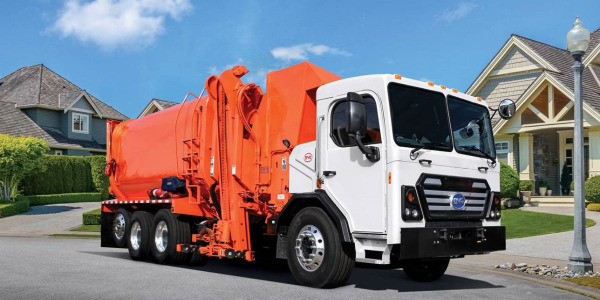 “There is a continued increase in demand for alternative-fuel vehicles, such as CNG and liquefied propane gas (LPG), as new emissions regulations are enacted and as the nationwide refueling infrastructure grows,” said Tabel of Isuzu Commercial Truck of America. Although there may be an increased volume of inquiries about alternative fuels, not many fleets are actually “pulling the trigger” and ordering these units. “There are several reasons for this including vehicle maintenance costs, fuel availability, and diesel fuel costs remain low. There has been a lot of discussion around alternative fuels, but the fleets are adapting slowly due to limited fueling choices for most of the country,” said Stumne of GE Capital Fleet Services. More fleets are investigating the installation of telematics devices in medium-duty trucks. 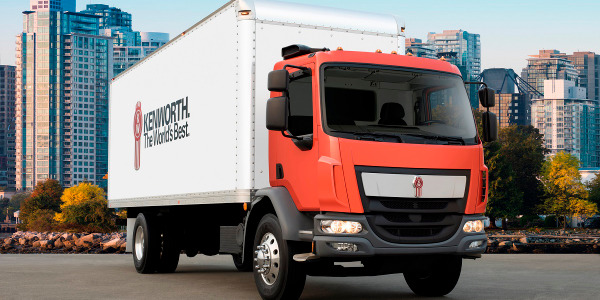 “We’ve seen more fleets that normally look for cost cutting actually become willing to spend money to install Bluetooth, reverse sensing systems, and back-up cameras in the name of driver safety” said Brightwell of Wheels Inc. This same trend is also being reported by other fleet management companies. Similarly, OEMs are also reporting greater customer interest in telematics. “As technology continues to grow, OEMs are looking for ways to improve the driver and fleet manager experience, while being sensitive to costs,” said Thomas of Ram Truck. The biggest stumbling block encountered by fleet managers when attempting to implement telematic devices within their fleet is justifying the ROI to senior management. 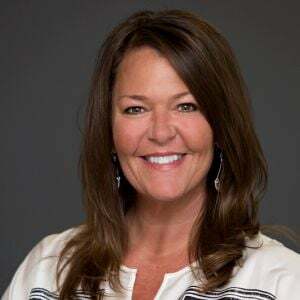 “Increasingly fleets are interested in the potential savings and productivity gains of mobile intelligence, but they need to better define and prove these savings within their companies,” said Collin Reid, strategic consultant at GE Capital Fleet Services. 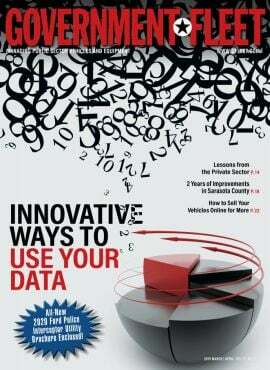 However, everyone agrees that telematics will become a mainstay in future fleet operations. “Longer term, we expect that advanced technology features such as telematics will become more important to fleet operators,” said Tabel of Isuzu Commercial Truck of America. Increasingly, total cost of ownership (TCO) is the final defining factor in determining the truck to select. 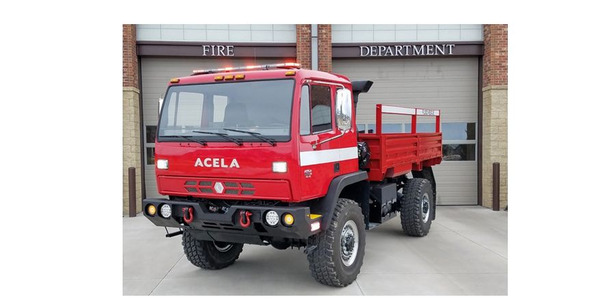 “The trend has been shifting away from focus on up-front acquisition cost in favor of lowering the total cost of ownership over the life of the vehicle,” said McMillan of Donlen. This observation was seconded by Thomas of Ram Truck. But, initial cost continues to be a key factor for many other fleets, especially those operated by smaller businesses. Isuzu voiced similar observations. “Increased demand for trucks offering a low initial investment, primarily gasoline-powered trucks, as gasoline prices drop over the next year and as smaller owner/operators begin to benefit from the gradual improvement of the economy,” said Tabel. In addition to controlling costs, fleets are looking to increase productivity. “There is an effort to improve truck productivity within organizations. The goal is to add customers without increasing the number of routes,” said Reid of GE Capital Fleet Services.